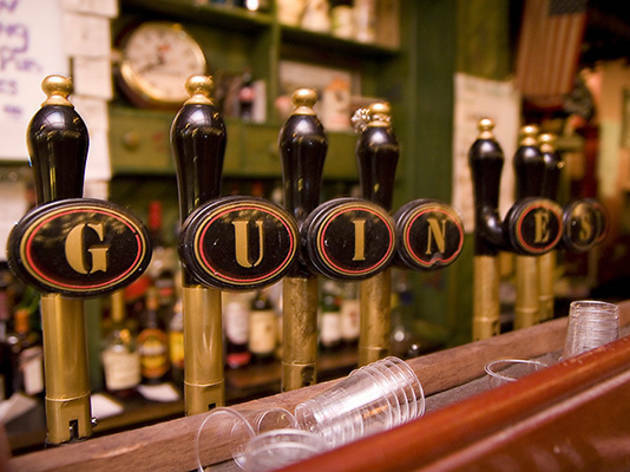 Glugging down pints of Guinness shouldn't be reserved solely for St. Patrick's Day. 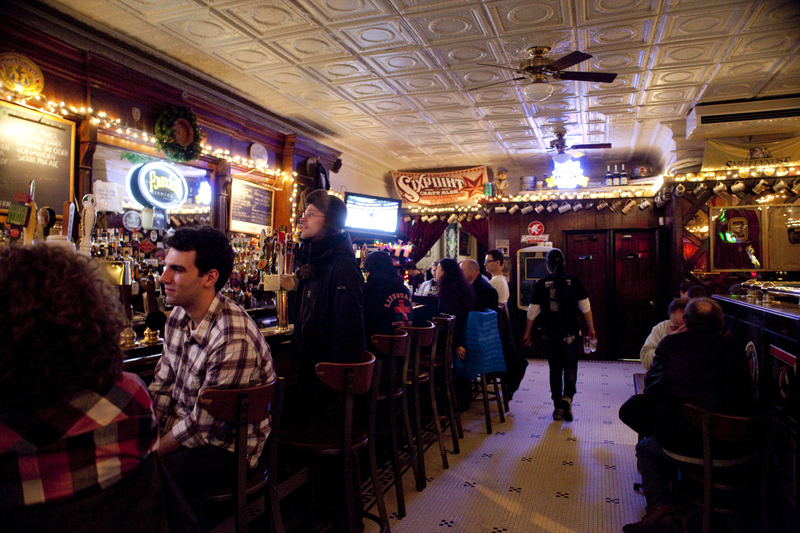 The warm, Celtic atmosphere at these traditional Gaelic taverns is a year-round affair, complete with the fail-proof combo of cocktails, some of the best beer in the city and plenty of Irish coffees inspired by the Emerald Isle. 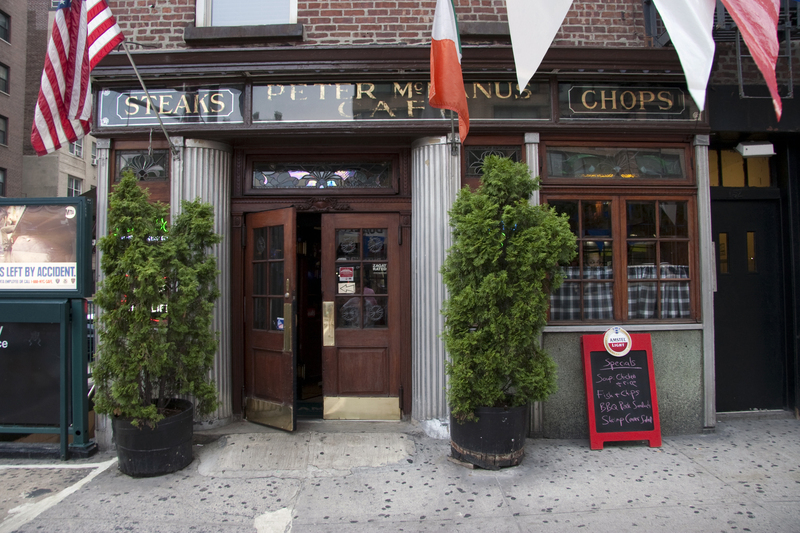 Find the best Irish pubs NYC has to offer and toast to drinking like the Irish. 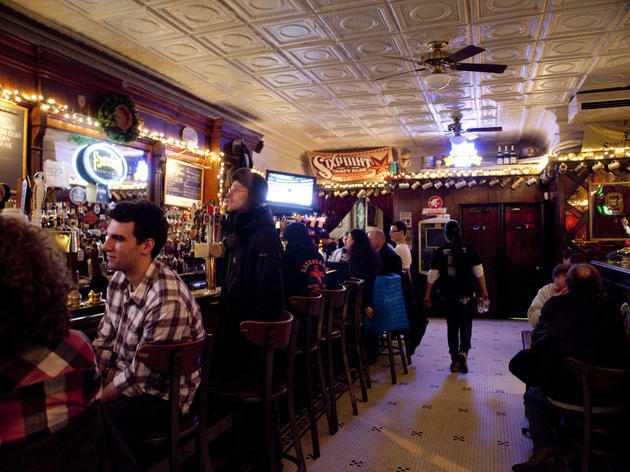 Established in 1854, this Irish institution is the oldest tavern in the city and remains steadfastly authentic: In true pub fashion, its wooden floors are doused in sawdust to sop up spills and dinner drippings, and barkeeps pour just two suds (McSorley's Dark Ale, McSorley's Light Ale) in a pair of eight-ounce mugs. Fill up on traditional Gaelic grub like the platter of sharp cheddar slices and zippy raw onion. 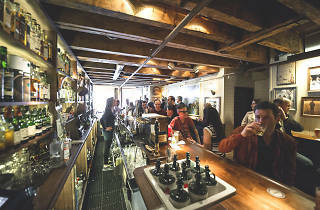 At this history-rich grocery and grog, the first-floor taproom slings top-notch cocktails alongside straight spirits and bar bites like Scotch eggs and short rib sliders. Whether or not you're breaking bread, ask for a Pop-Inn, a lightly hopped ale (Peekskill Simple Sour) spiked with flavored liqueurs (citrus, rhubarb, ginger). You can also throw back a dram of that old Irish standby, Jameson. 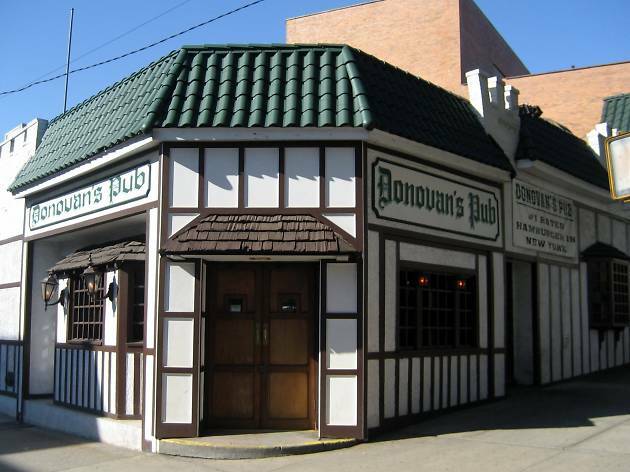 The name is Gaelic for "the poor mouth" (also the title of a novel by Irish writer Flann O'Brien), but that's not the only artistic influence at this congenial hang, which serves as a gathering place for Riverdale's Irish-American art and theater communities. Posters and sketches depict literary heroes like James Joyce. Comfort foods abound on the lengthy menu, which stars bangers and mash and a classic shepherd’s pie and beef stew. 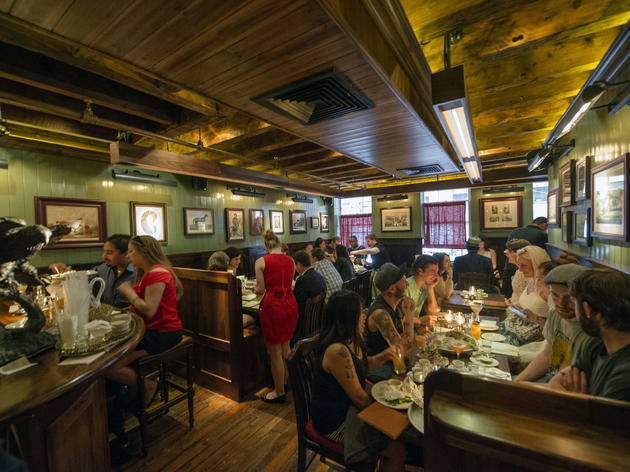 Patrons here sit at long communal wooden tables and sip beers from a vast and varied selection: You’ll find a dozen on tap and two dozen bottles, many of them imported. 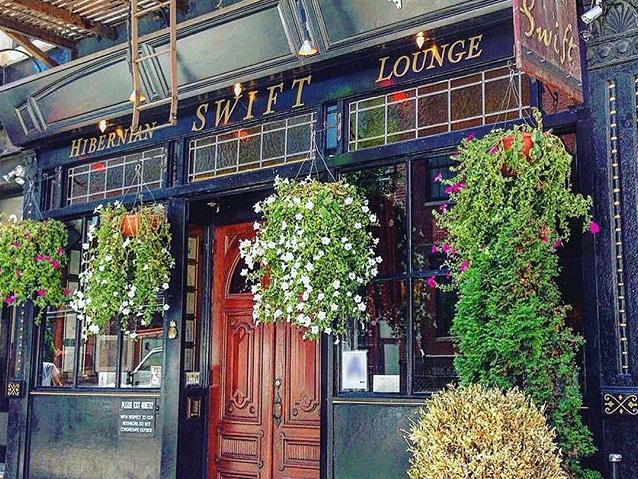 Swift also offers more than 30 single malts and plenty of whiskey from the Emerald Isle. 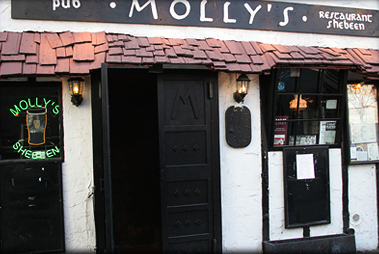 On Tuesday evenings, locals gather to hear traditional Irish bands perform. 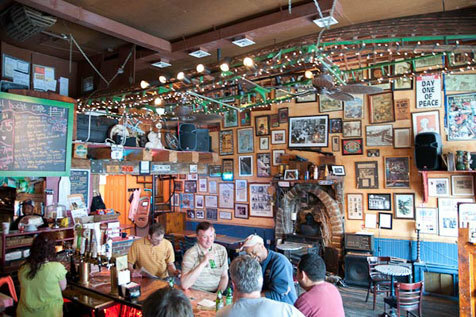 This worn Irish stalwart is lined with old-timers at the front bar. 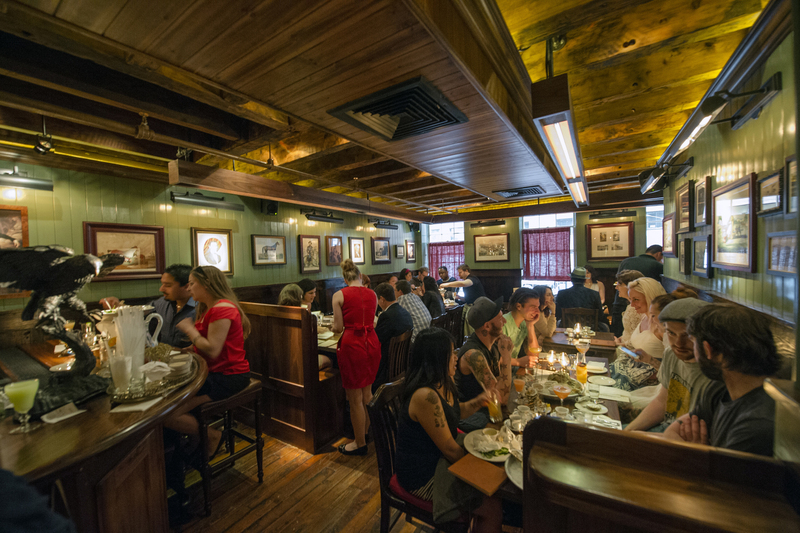 Sit inside the wood-paneled dining room with classic stained-glass windows to share Irish-American fare like open-face roast beef sandwiches and shepard's pie, and wash it down with a pint of Smithwick's, a malty and easy-sipping red ale. The plainspoken name, the American flag… Get it? It ain’t no disco, it ain’t no party, it ain’t no foolin’ around. 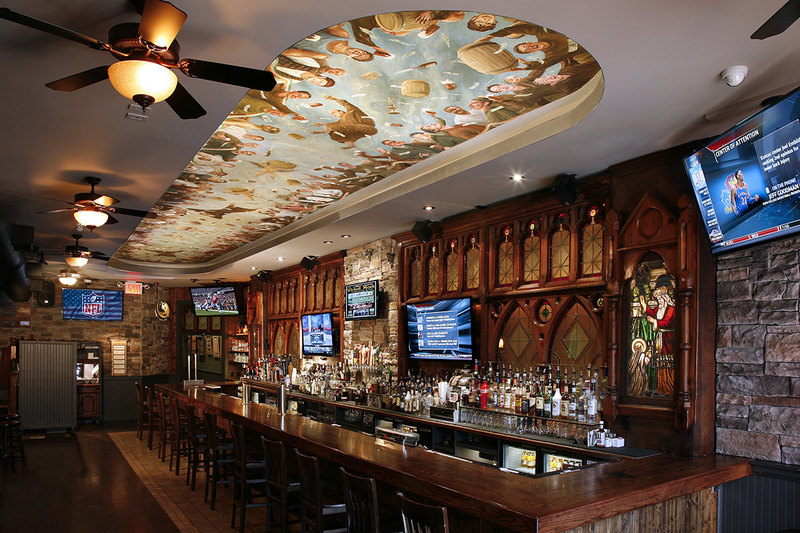 The walls are covered with vintage steins, coasters and other paraphernalia celebrating beer. Add better-than-average pub grub, and it’s clear why the raucously good-natured crowd has found this to be a perfect refuge. 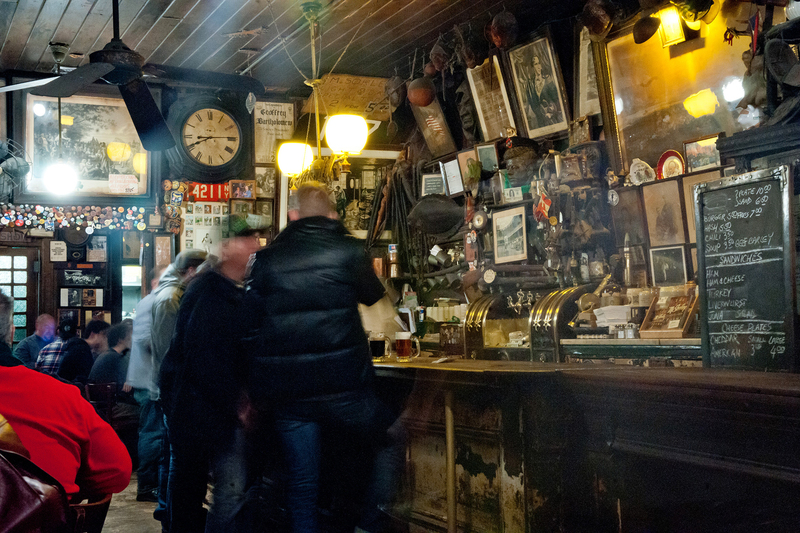 There’s a reason this place feels so authentic—just about every square inch was schlepped from the Emerald Isle. 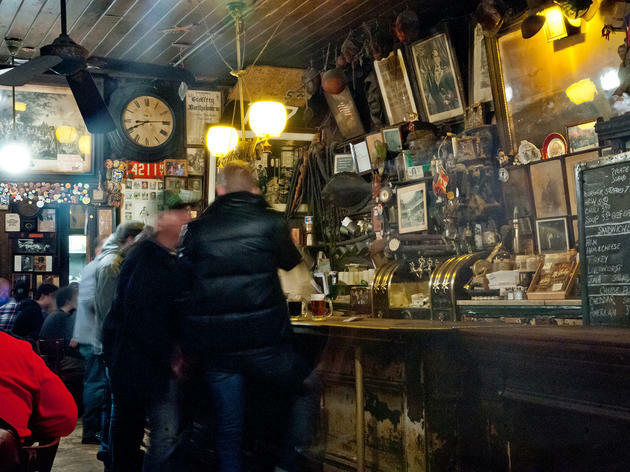 A knotted floorboard comes directly from an Irish hotel; the makeshift still was constructed in County Cavan; and Gaelic bands rock out live every night. 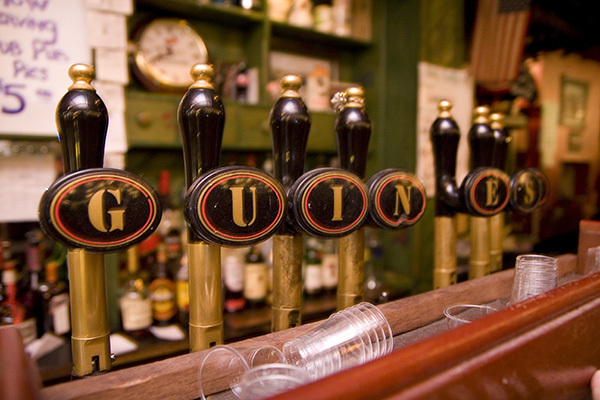 Eight taps, made specifically for the pub by Guinness, pour the black stuff almost exclusively. 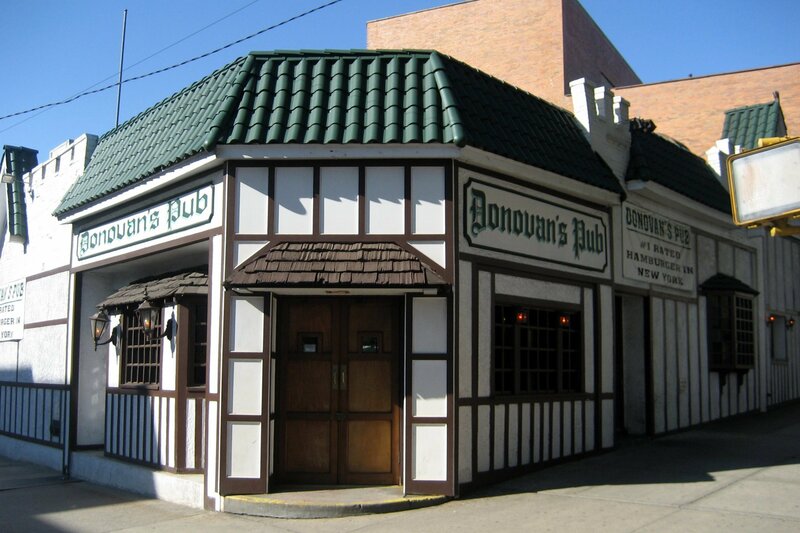 You can get Stella or Sam Adams here, too, but why would you want to? 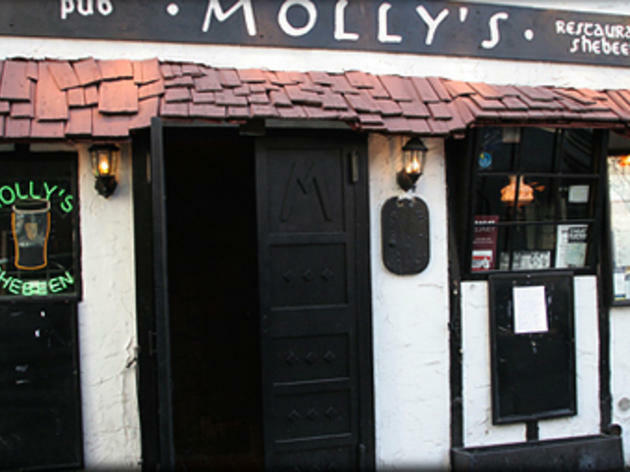 There's quite literally a piece of ire in this jolly pub—in fact, there are several: When owner Michael Dorgan heard that a church in Cork, Ireland, was being demolished, he shipped over a few pieces (the wooden pews, pulpit, confessional, statues and stained-glass windows) to incorporate into his bar. 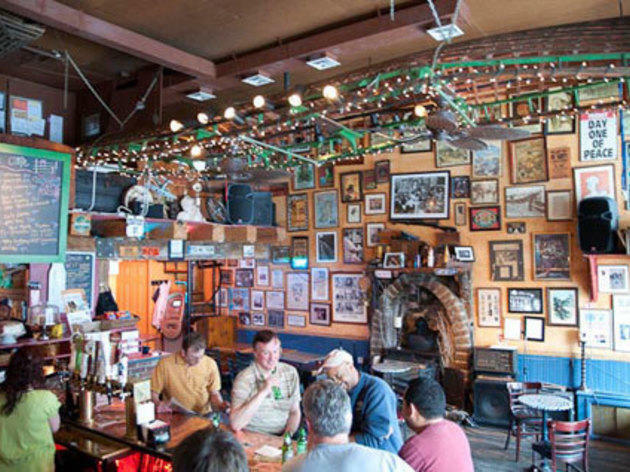 The trimmings may skew sacred, but the older neighborhood crowd here is plenty rowdy—look for the faces of abiding regulars immortalized in the mural above the bar. The staff here takes its Guinness very seriously—if Dorgan spots incorrectly poured suds, he'll toss them down the drain without hesitation—so request a pint of the roasty stout with confidence. 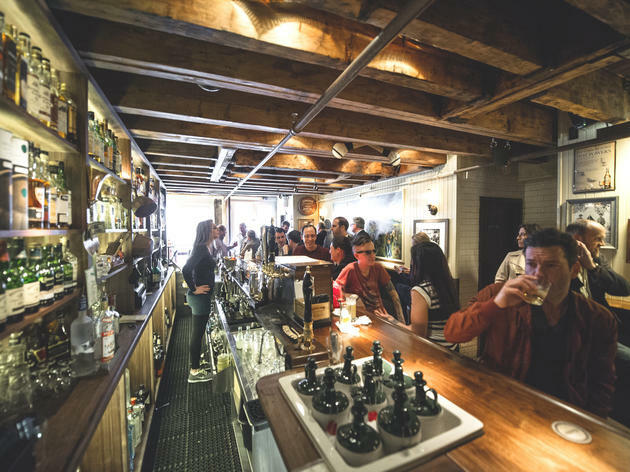 Thickly accented bartenders tend to off-the-clock Manhattanites at this rustic East Side retreat. 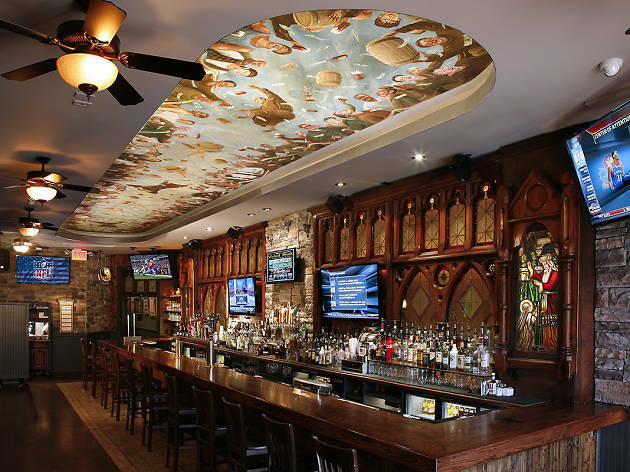 Pastoral touches—a whitewashed facade, a sawdust-covered floor and Celtic crosses—make this tavern feel like it's been transplanted from the Irish countryside. 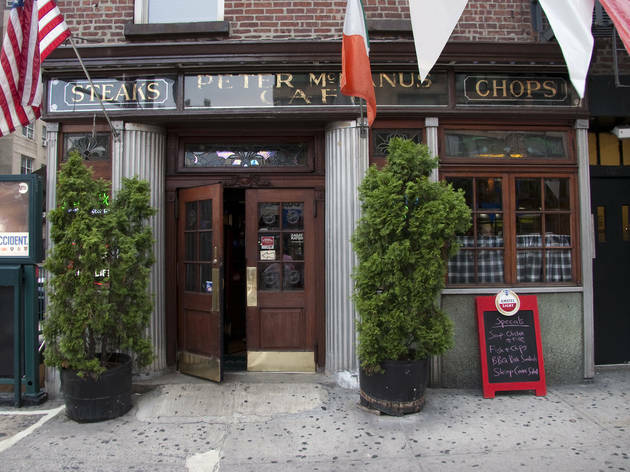 Regulars swear by the Irish lamb stew, a rib-sticking combination of lamb, carrots and potatoes, paired with a pint of Murphy's Stout, a creamy swig brewed in County Cork using a 150-year-old recipe.